Eyebrows are one of the most noticeable, stand-out facial features. 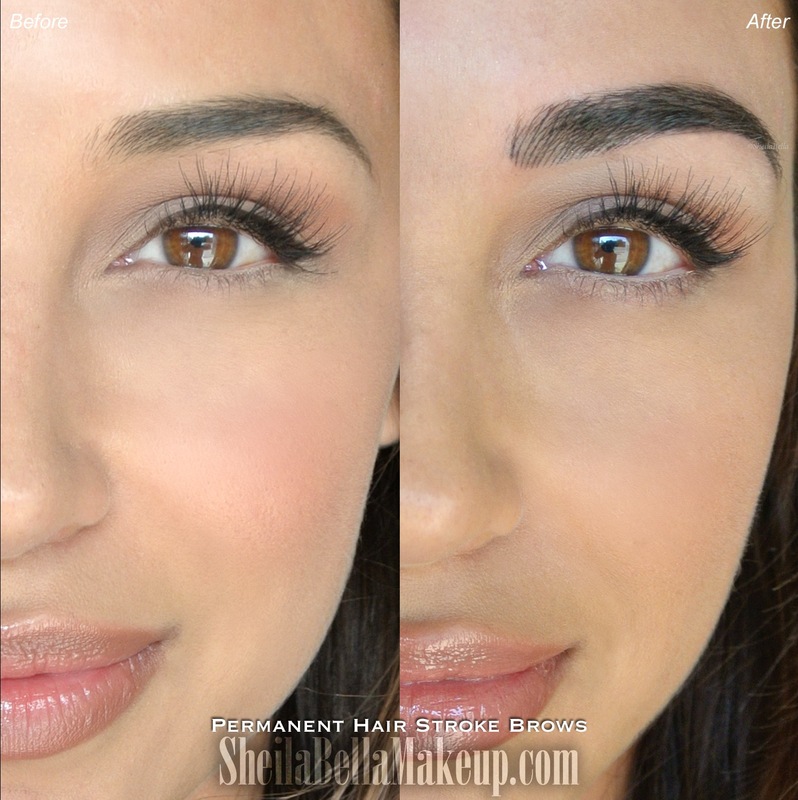 How you shape and style your eyebrows can make or break how your makeup looks as a whole. 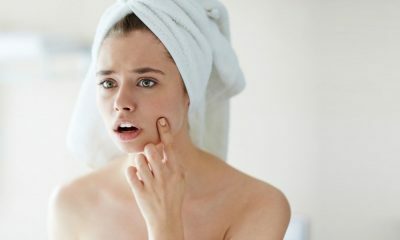 Keeping that in mind, the extensive time and effort many women spend grooming and applying makeup to their brows to achieve the shape, color, and thickness they want is understandable. Like all trends, in-style brow shapes change over time. In the 1990s and early 2000s, very thin arched brows were everywhere on runways and red carpets. 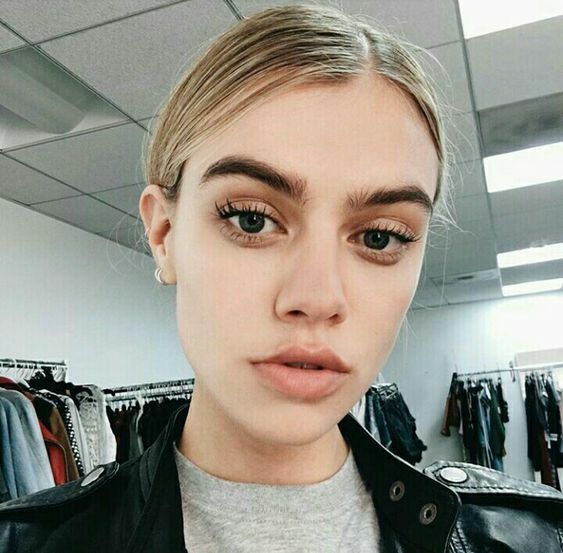 As the 2010s approached, however, style icon celebrities like Kim Kardashian and Cara Delevigne helped popularize thicker brows by showing off their own bold natural brow shape. 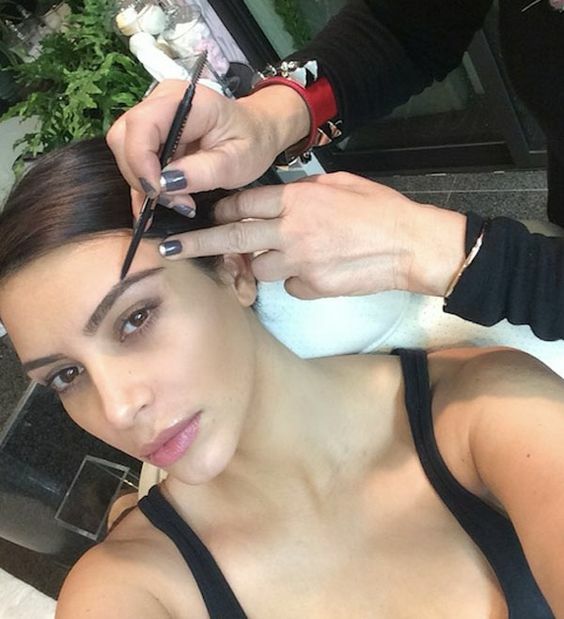 The lasting bold brow trend is great news for women who already have thick, dark eyebrows. 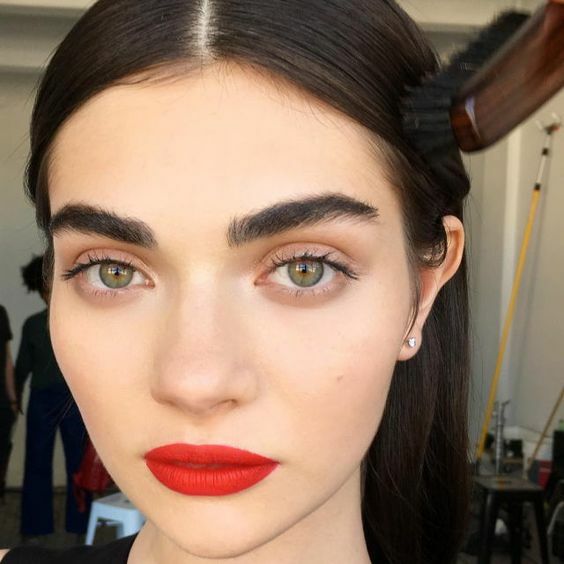 For those with lighter, thinner brows or rounder brows that don’t match the Kardashians’ patented sharp angled arches, this trend can be frustrating and discouraging. 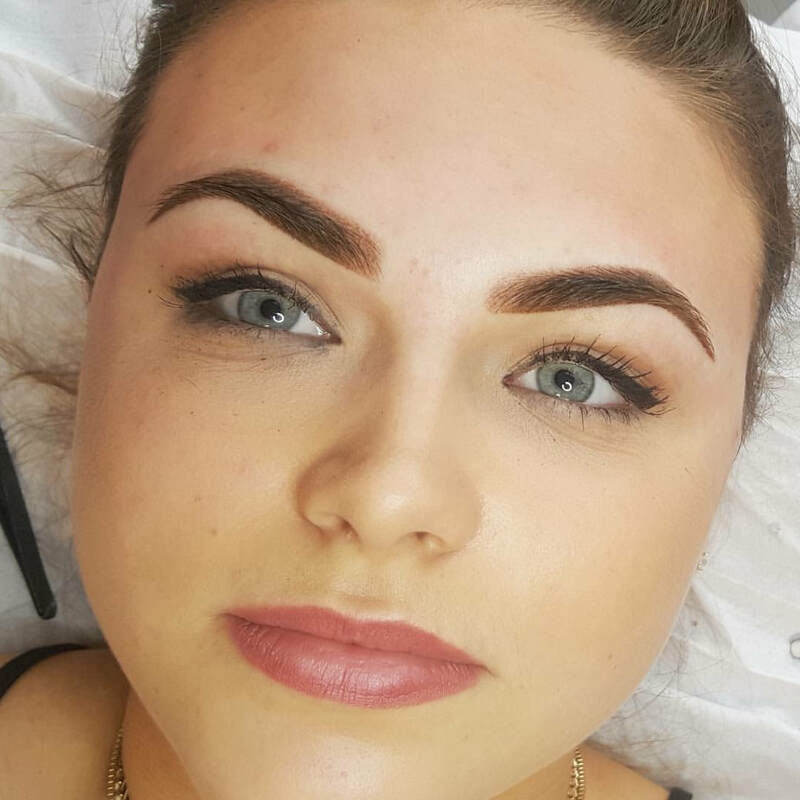 Thick, bold angled brows can be very difficult to build seamlessly from thinner eyebrows. There is a fine line between bold brows that look natural and overly drawn brows that just look clownish. 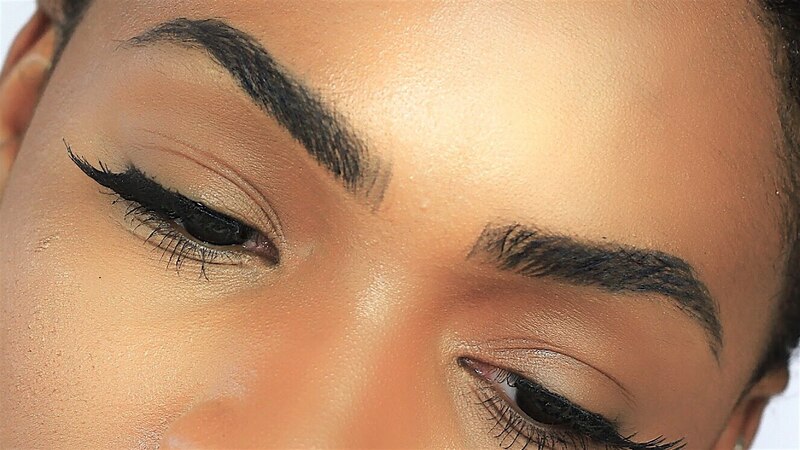 If you’re searching for some guidance on how to perfect your own thick brows, there are several tips and tricks you can use to create natural-looking bold brows no matter the shape, color, or thickness of your natural eyebrows. One of the most common mistakes women make when filling in their brows is using brow products in the wrong color. 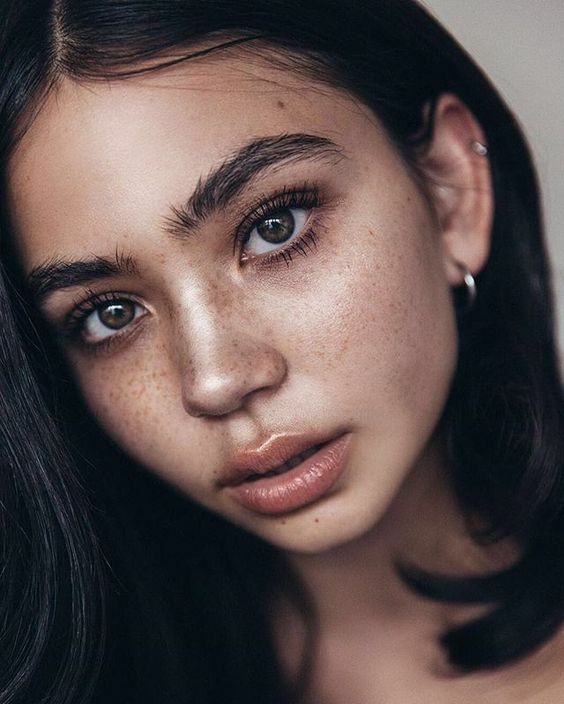 Many women automatically turn to shades of dark brown or even black in an attempt to match the bold brows they see on prominent celebrities. Using brow products that are too dark for your natural coloring prevents your brows from looking natural. Get the most natural look by ignoring the color of other women’s brows and styling your own using products one to two shades darker than your hair color. If you want to create bold brows, you need to draw them on with long, heavy-handed strokes, right? Wrong. When you’re trying to create natural-looking bold brows, you want to mimic the look of natural hairs with your brow pencil. Natural eyebrow hairs don’t grow in thick lines that span the entire length of your brow. Imitate the appearance of brow hair with your brow pencil by applying short, light, dash-like strokes from one end of your brow to the other. Apply more–not bolder–strokes to sparse areas and sweep powder over your entire brow to conceal any unevenness. When your hairstylist cuts your hair, she doesn’t use her scissors to chop it off at the exact same length. 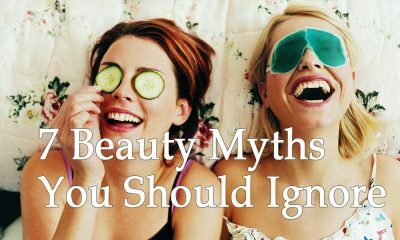 That’s because the hair on your head naturally grows at slightly varied lengths, and the same is true for your eyebrows. If you have unruly brows that you need to trim to groom into a neat and clean shape, don’t trim all of your hairs to the same length. Stagger the length of the hairs from the front end of your brow to the arch. Leave the hairs in the tail of your brow alone and use tweezers to completely remove any stray hairs in that area. 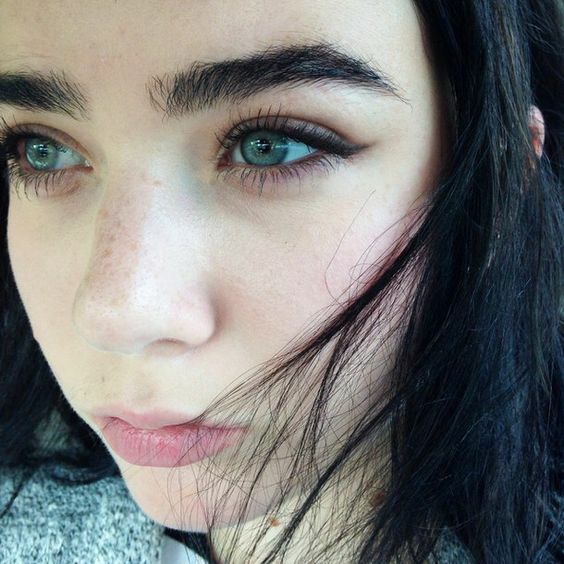 Angled brows do not mean square brows. Uniform square edges make spotting fake, drawn-on brows incredibly easy. Prevent square brows by avoiding harsh lines at the front end of your brows. Use light, cautious strokes in this area and blend heavily there and around your arches to create a more natural look. No matter how much you’ve blended your brows, blend some more. One of the best ways to create eyebrows that really look natural is to remove any overly-bold lines and obvious traces of product through blending. Many women are hesitant to blend their brow products too much because they want their brows to retain sharp, clean edges. Blend first, then recreate clean edges if needed using concealer and highlighter around the edges of your brows. The sad truth is that not everyone is born with naturally thick brows and not everyone has a facial structure that accommodates drawn-on bold brows. 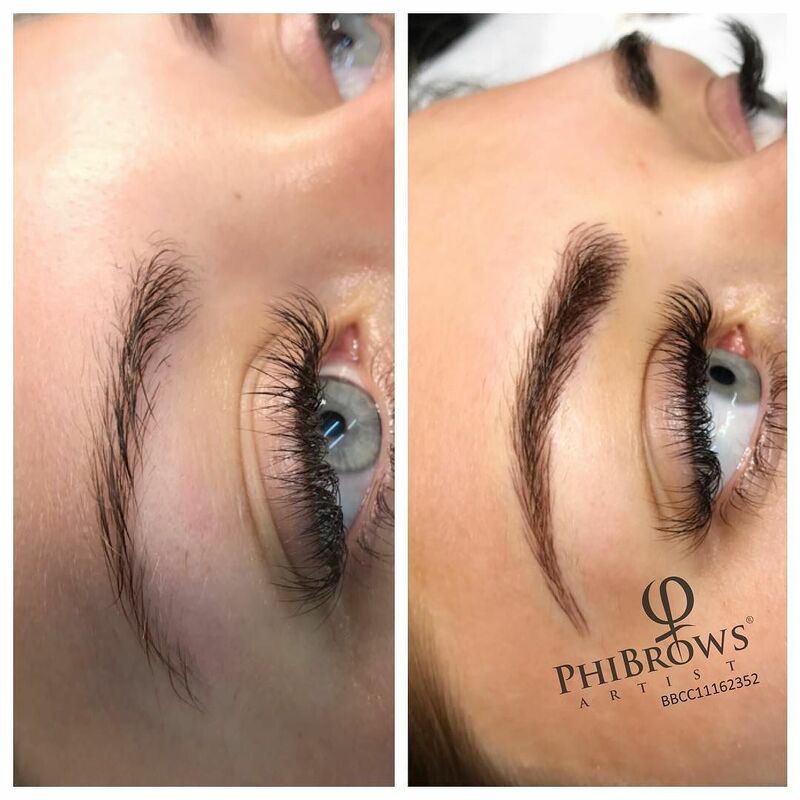 Even if you desperately want to achieve bold, thick brows, forcing thickness onto your thin arches It is much easier and better for the appearance of your brows to accept them for how they are and work with what you have. If you find yourself having to draw a box around your brows and fill it in to fake thickness, your brows are likely too thin for a natural bold look. Your brows are shaped to fit in with your eyes and face. 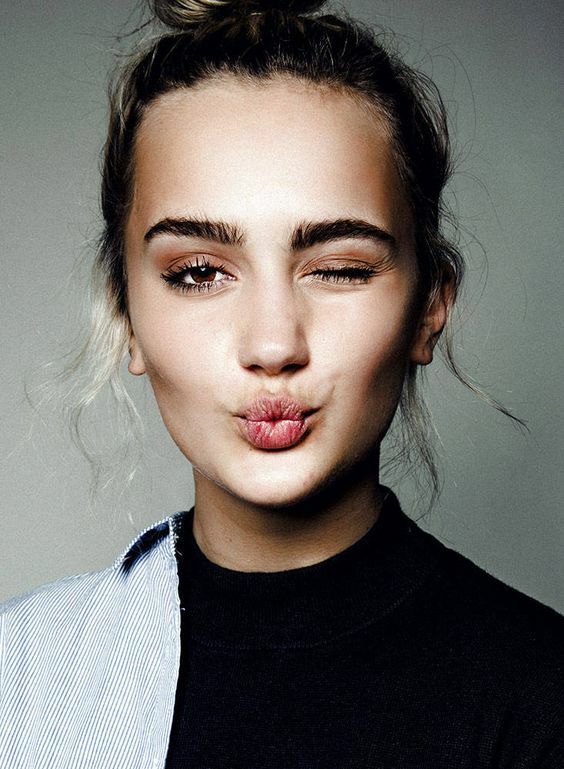 You should aim to enhance the appearance of your brows with makeup instead of ignoring their natural shape completely and attempting to draw a brand new shape instead. If you have very thin brows, use a brow pencil to reshape your arch into a sharper angle. Use brow gel or powder to make your brows stand out more. Fill in any gaps or sparseness without significantly increasing their thickness. 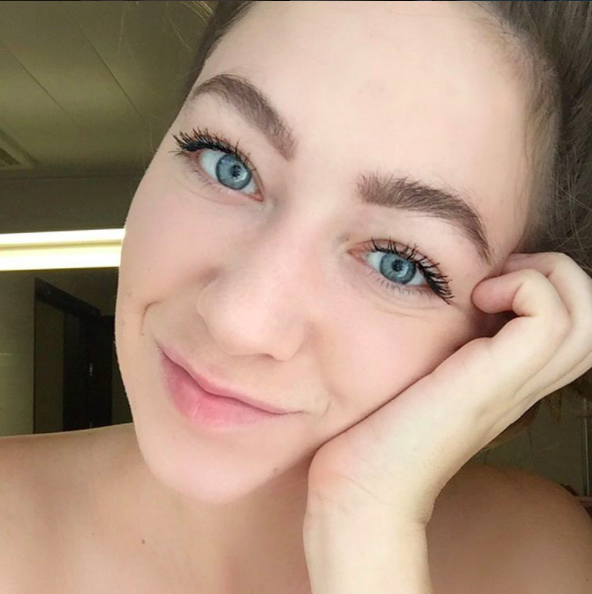 When you’re done applying makeup to your eyebrows, they should look even. Empty spaces and gaps disrupt the healthy, seamless finish of your brows. However, creating bold, block-like brows that are too uniform makes them look too dramatic and anything but natural. Make your brows look even and natural at the same time by using a lighter touch in some places and a heavier hand in others. Use your brow pencil or pomade generously on the arches and tail of your brow to make them stand out. Use your pencil more conservatively as you near the inner edges of your brows. Fill in all parts of your brow with powder to ensure a seamless, even finish. Creating natural-looking brows should be a simple part of your daily beauty routine. Doing your eyebrows shouldn’t be a source of discouragement and it shouldn’t take up too much of your time. If you’re still working toward perfecting the bold, natural brow look on yourself, use the tricks in this post to get closer to hassle-free brows that would make Kim K proud.